The appearance of flexible filaments on the market has created new possibilities for 3d printing enthusiasts. It enabled the making of rubber-like, stretchy or bendy elements and increased the number of 3D prints applications. The potential of this type of material is continuously being discovered, starting from gaskets and ending with prostheses. One example may be a custom tyre which was recently created by young enthusiasts of aerospace. These young engineers have proved that our Fiberflex 40D may be used not only on our planet. How? Read more. The story started with a submission for a contest. 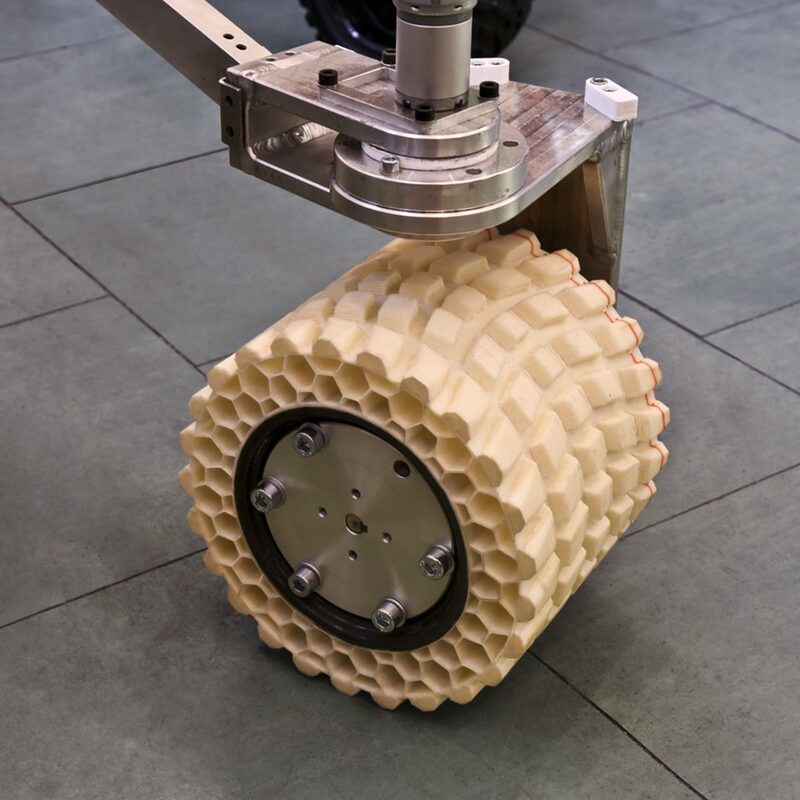 The students who belong to the AGH SPACE SYSTEMS scientific club decided to take part in the University Rover Challenge and the European Rover Challenge in 2018 organized by NASA in Utah, USA and ESA in Rzeszow, Poland. Earlier, they had participated in similar competitions. Thanks to that, they were familiar with the strict competition standards. The project was supported by a company Crystal Cave in the areas of generative design and 3d printing. The project required a deep research into the conditions on the planet Mars. According to the project managers – Andrzej Zakręcki and Bartłomiej Gaczorek, this was the most important part of the whole process as it helped the designers to formulate the main requirements for the vehicle. 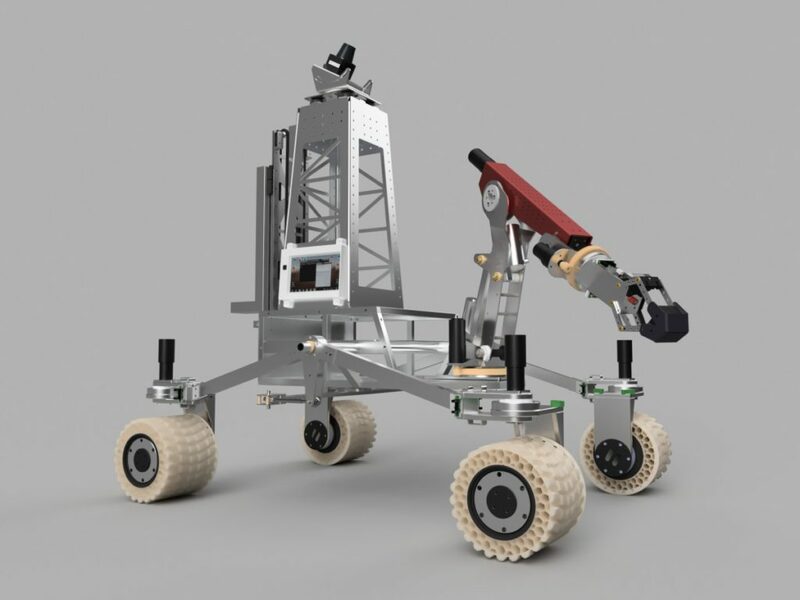 They gathered findings that were taken into account at each stage of designing the Mars rover. The main factors that could have an impact on the functionality of the Mars rover were: weather conditions, temperature amplitudes, the ground structure. The information brought them to the conclusion that they had to focus on tyre design. This seemed to be of crucial importance. 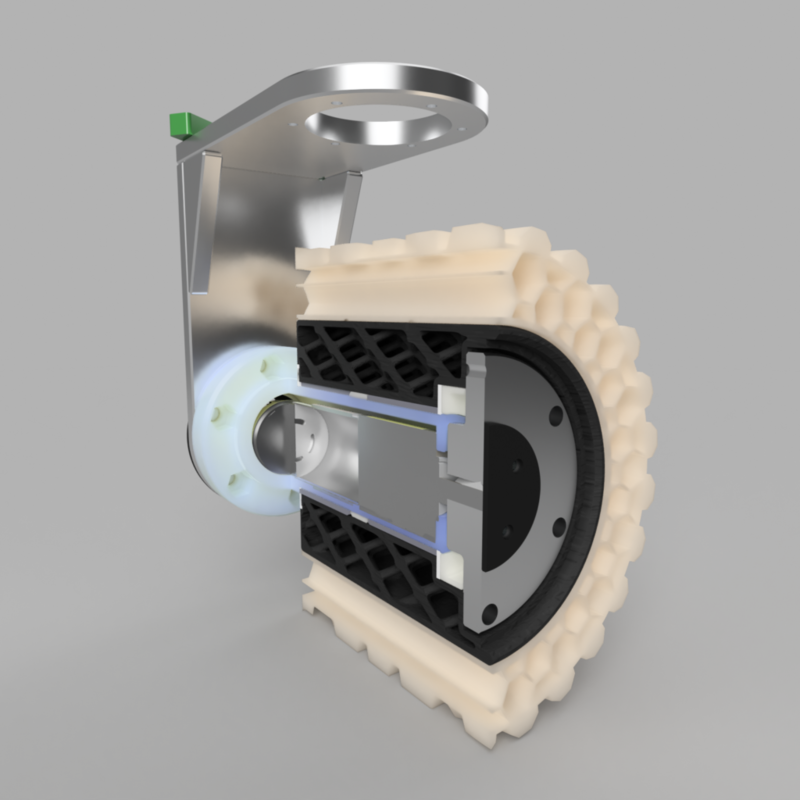 The 3D printing technology and Fiberflex 40D turned out to be a solution here. Mostly, because of the possibility of creating a custom tyre with the required properties. Given the requirements of the project, the elements had to meet certain expectations. They had to make tyres of appropriate weight, strength and stiffness. Moreover, the tyre tread had to be broad enough, and its shape had to be similar to its off-road counterparts. It was supposed to ensure the necessary ground traction. Because of high temperature fluctuations that may cause expansion and contraction of parts, there was also a need to find a material that would be resistant to these phenomena. In addition, in order to protect the propulsion system against mechanical damages they had to contain it within the tyre. With the 3d printing method the young engineers could adjust the shape, stiffness and hardness of the tyre. Moreover, the custom design enabled them to protect another part of the vehicle – the propulsion system. They could place it inside the wheel, which wouldn’t have been possible with the standard purchased product. The choice of the material was made on the basis of the properties needed. As Fiberflex 40D was flexible enough and could be used at a wide range of temperatures (from -40°C to 70°C), it seemed to be the perfect material for this application. After making a number of improvements and tests, they finally achieved the desired results. They also acknowledged that the 3d printing method and Fiberflex 40D were the best combination they could have used.